A booking and scheduling application for clients to schedule an astrological reading with Steven Shroyer. A Holistic Medical Astrology practice combining both eastern and western medicine. Chinese Astrology, Classical Feng Shui combined with Intuitive Energetic Feng Shui. Home of The SABIAN and The SABIAN Esoteric Restoration Movement. Rudhyarian Astrology combined with a unique look at the world's greatest astrology teacher. Are you interested in learning Astrology? Are you interested in Astrological Workshops? 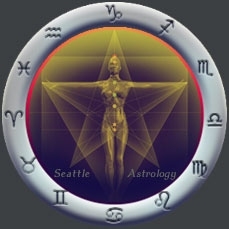 Twelve Basic Orientations to Power and Activation These are Astrological Zodiac Signatures written as "poetic archetypes." Students of astrology will find these both significant and inspiring. The signatures are suitable for meditation or contemplation. Are you interested in Medical Astrology? Are you interested in Sabian Astrology? Are you interested in Rudhyarian Astrology? Are you interested in Person-Centered Astrology? Are you interested in Transpersonal Astrology?